Austin-Sparks.Net is not Emmanuel Church, but we do work closely with them and are eternally grateful for their love and generosity in publishing and mailing books by T. Austin-Sparks free of charge worldwide. On this page are their contact details and a reproduction of the current book catalog from Emmanuel Church. Please print this page and then post or fax it to them or email them with the details of your book request. 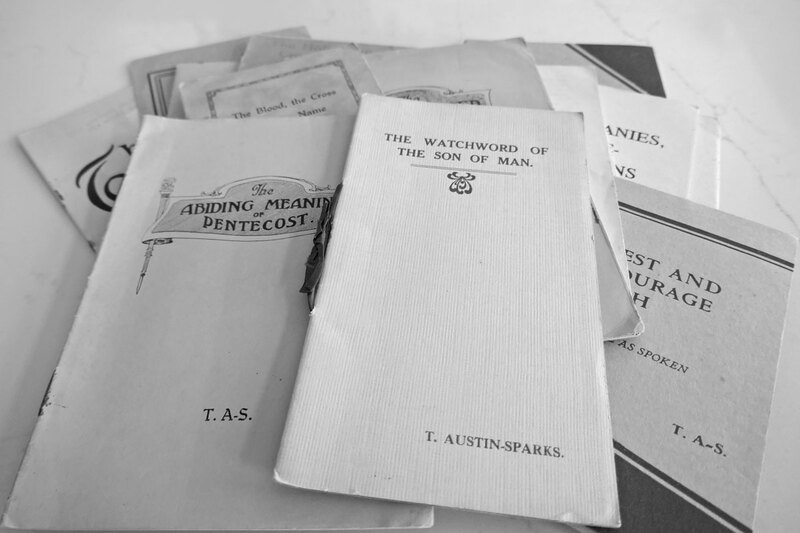 T. Austin-Sparks and Associates' books and pamphlets are available and FREE upon request by placing a check mark in the Order column. Please return this form along with your address to the address below or send a detailed email to echurchtulsa@yahoo.com. PLEASE PRINT OR TYPE ALL NAMES AND ADDRESSES CLEARLY. Books are mailed as time permits. Your patience is appreciated. Please give extra time if this material is needed by a certain date. Please advise us of any address changes. 32 EXPLANATION OF THE NATURE AND HISTORY OF "THIS MINISTRY"
P2 "NOR... THE SMELL OF FIRE..."
P14 CHRIST OUR LIFE (A Leaflet), order in multiples: 10; 25; 50; 75; 100. P22 YOU HAVE LEFT YOUR FIRST LOVE (A Leaflet), order in multiples: 10; 25; 50; 75; 100. P44 "I WILL BE AS THE DEW UNTO ISRAEL"
P47 WHAT IS A CHRISTIAN? LP-2 "NOR... THE SMELL OF FIRE..."
LP-47 WHAT IS A CHRISTIAN?